Hundreds of parents join the homeschool movement on a yearly basis. Not because they live in isolated parts of the world; or because their child is unable to attend school due to sickness; but because they can see that their child is falling behind and have decided to do something about it. When you tell someone that you homeschool your child often their first reaction is... Wow! Is it contagious? Upon which your reaction should be.... I WISH. So many children are falling behind in their academics these days that it is a very tempting option for parents to rip the kids out of school and attack education with special dedication. And yes, many parents do but often they also go in unprepared due to their hurry to get something done. If you're thinking about teaching your child at home you should do some little prep-work. There are many articles online with positive but also with negative information. Some info is good enough to take on-board and refer to from time-to-time while other info is so far up the creek that NO.... don't ever read that again! 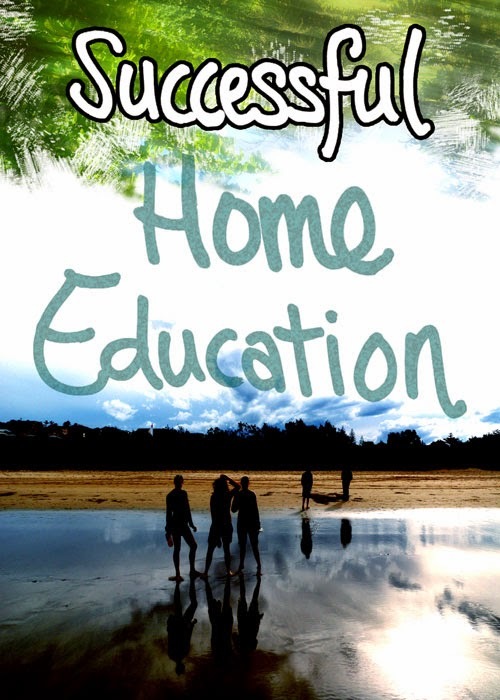 Successful Home Education relies upon the provider which will be you the parent. If you want to do a decent job then start reading a little about the issue and learn just enough to get enthusiastic. Never, never, never loose your enthusiasm because that's what drives you to help your child achieve the best in life. Feel free to enroll in my eCourse which goes through many homeschooling issues and will provide you with an insight into how we as a family homeschooled. I look forward to seeing you Join Us soon.